Agra is famously known for the Taj Mahal, but Agra's local food and delicacies are not very known. 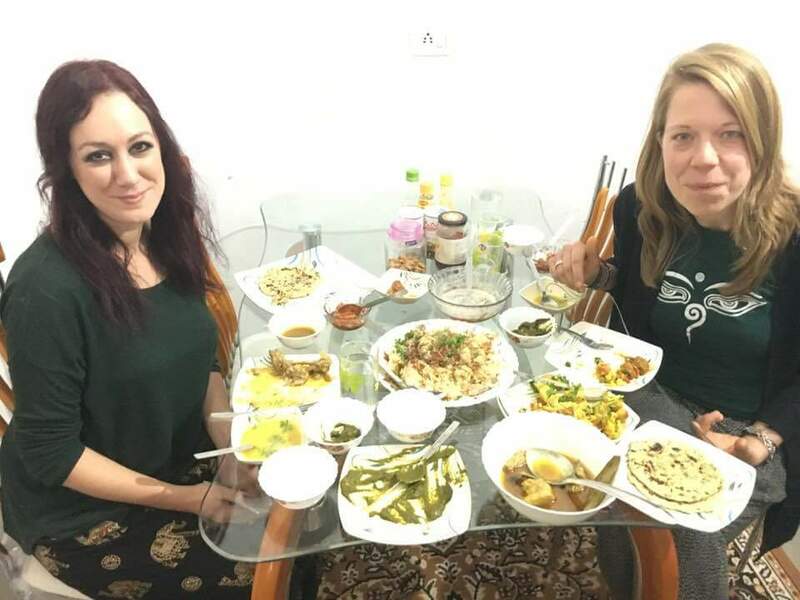 This walking Agra food tour is an excellent activity to discover the hidden authentic culinary treasures of Agra. The tour also includes a private cooking class so that you can learn the way of Indian home cooking and traditions. In the private cooking class, you can learn at your own pace and ask questions whatever comes to your mind regarding Indian recipes and ingredients. After the cooking class, you can enjoy the delicious meals you have prepared. Apart from this, the food tour allows participants to experience an amazing array of street food and markets in the old town. You can taste some of the best street food and dishes of Agra. Furthermore, take a walk in colourful streets of Agra which only a few tourists ever see. The Agra food tour will be 3-4 hours long in which you will visit 7 to 9 food shops in Agra. The tour includes mostly vegetarian dishes with a few non-vegetarian dishes, though you can ask for your preference. Some dairy products will also be included. The tour does not constitute any alcoholic drinks. There will be around 12- 15 dishes in total which may differ according to the season. The tour usually starts in the evening but you can also ask for custom timings according to your plan. During the tour, you can ask for bottled water, hand wipes, sanitizer and non-alcoholic drinks. Agra pickup and drop-off are also included in the tour. You can send us Payments Via PayPal , our PayPal Email is kaimurholidays@gmail.com or You can pay us Cash in Agra.